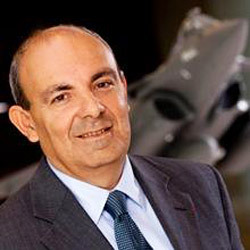 ASD is pleased to announce the appointment of Mr Eric Trappier, the French Chairman and Chief Executive Officer (CEO) of Dassault Aviation, as President of the AeroSpace and Defence Industries Association of Europe (ASD). Mr Trappier brings a long track record and experience as an industry executive. With an engineering degree from Paris’ Sud Telecom, Eric Trappier joined Dassault Aviation after graduation and spent most of his career in the defence sector of the French manufacturer. Before assuming the position of Chairman and CEO, Eric Trappier led Dassault Aviation’s international activities for many years. He also has been serving as Vice-President of the ASD Board since 2015. With such experience, he is well placed to take now the lead at ASD.